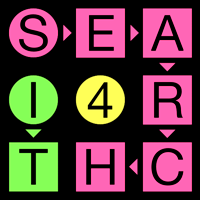 So “Search 4 It” and find your next favorite word game! I recently downloaded search 4 it and paid the money to unlock the packs and the game froze up. What can be done? Hi Monroe, Please make sure you have a strong internet connection and try to make the purchase again. Hi Nancy, What do you mean by “it will not come up on iPhone.” Could you go into greater detail about exactly what you are seeing happen on your device. I purchased Search for it; it shows installed, but does not appear on my iPad. Try using the search iPad feature by dragging your finger down in the middle of the screen and then typing the name of the app you are trying to find in the search bar at the top.